If you have driven by the SE corner of Fremont and Williams lately, you can see that something very colorful and exciting is happening there. It is the Boise Eliot Village Square and it will be a public market place with live music, theatre, gospel on Sunday’s and some democracy and educational forums as well. The public market will be open on Friday and Saturday 12-8 and Sunday 12-6. Dawson Park will host four free concerts this summer! 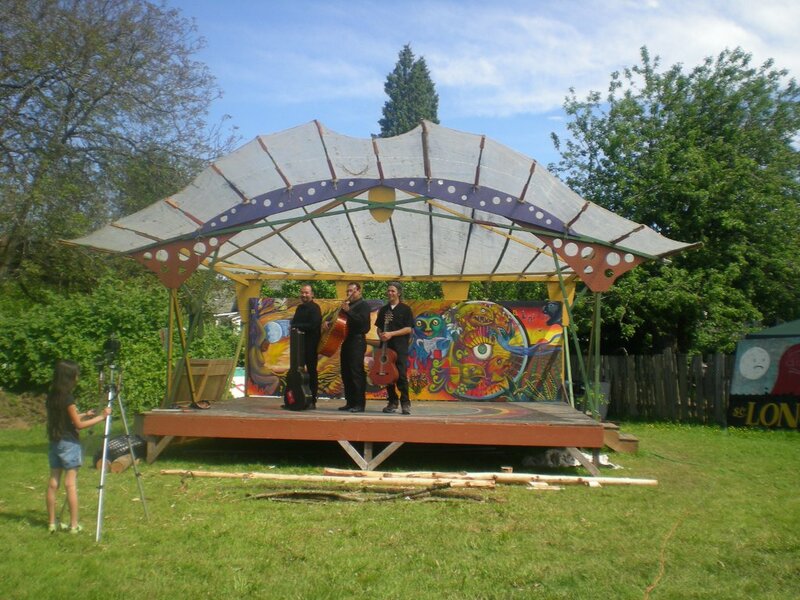 The gazebo will be the stage for the live performances. Concerts begin at 6:30 PM and last about 2 hours. Best of all, the concerts are free! Concept 4c. Three‐Point Interchange (couplet). One of several proposed freeway concepts. The Central City plan process is in full swing in N/NE Portland. The process will re-examine and rezone the entire “central city” which includes the Lloyd District, Convention Center, Broadway/Weidler corridor, and portions of Eliot south of Russell. Our area of town is the first of the four central city “quadrants” to plan. The effort in this quadrant is unusual in that it includes the participation (and funding) of the Oregon Department of Transportation (ODOT). ODOT’s interest is in improving the freeway between I-84 and I-405. Improvements to the freeway mainline will require changes to the freeway ramps as they intersect Broadway and Weidler. 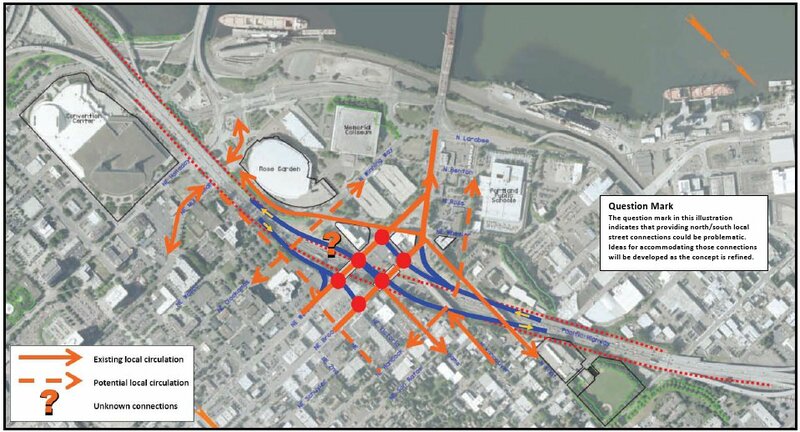 ODOT’s preference is for a conventional freeway interchange, which will take up a much larger part of the neighborhood than the current ramps do. In order to minimize property condemnation and demolition many of their options make use of existing surface streets. In Eliot, this includes Flint and Hancock, which ODOT’s plans envision as part of the freeway access system. As a result, traffic on these streets will increase significantly. Hello! The weather has finally begun to swing in the right direction, and school is letting out for the summer. It’s time to remember our basic prevention techniques. Check your outdoor lighting and watch out for your neighbors. Just as a reminder, please keep your valuables out of your cars or out of sight and watch out for roving bands of teenagers out tagging. Also, as we start leaving windows open for ventilation, remember to block them in some way, so they only open a little bit to keep the burglars out.